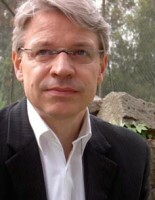 Aloys Winterling is Professor of Ancient History at Humboldt-Universität zu Berlin and director of the August-Boeckh-Antikezentrum. His research interests comprise history of Greek and Roman societies, historical anthropology as well as court and monarchy in Antiquity and in the Early Modern period. Besides this he is interested in the ancient philosopher Aristotle and the German sociologist Max Weber as well as the Roman emperor Caligula.